There are many factors to consider when choosing the right material for your roof replacement. Whether it’s assessing how the weather in your region will impact your roof, or considering the longevity of different roof covering materials, weighing your options when it comes to roofing can be a complex process. 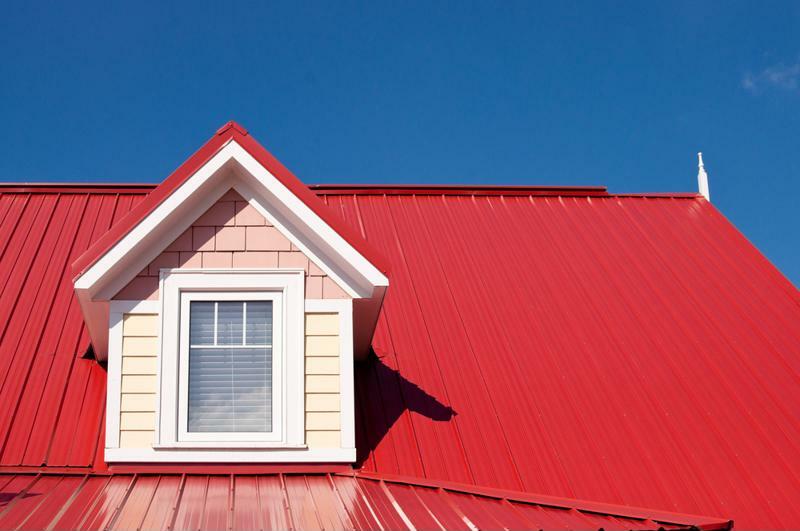 One type that’s becoming more and more popular with homeowners across North America is metal roofing. Made from materials like galvanized steel, tin, and aluminum, this type of roofing comes in a range of different styles, including shakes, shingles, and panels. Options are even being designed to closely mimic wood, clay, and stone roofing. Take look at what makes metal roofing an architecturally appealing and reliable choice for your home. One of the biggest factors to consider when picking out a new roof covering is how long it will last. If you decide to go with metal roofing, you can rest assured that your roof will protect your home for decades to come. This is thanks to metal’s ability to stand up to different types of weather conditions, be it severe snowstorms or extensive heat. For added peace of mind, many metal roofing manufacturers offer warranties that may cover you for up to 50 years; these warranties protect you against defects in the covering materials that may cause them to breakdown prematurely. Metal roof also comes in a variety of colors and styles to accommodate your house’s design. Roof installations are quite physically intensive and can be dangerous depending on the height and pitch of your roof. If your roof isn’t too steep and you’re quite knowledgeable about home repair, you may be able to complete a roof installation yourself. If this is something you’re interested in, metal roofing is one of the more DIY appropriate roof materials. Available in light-weight shingle and shake formats, many styles come with easy to handle interlocking systems that require only common tools to install. If a professional installation is more appealing to you, reputable contractors can easily tackle the task of installing metal roofing in no time. Once the material is intact, you’ll have little to worry about for many years to come. A major factor that should not be overlooked when picking out a new roof covering is safety. Picking a metal surface for your new roof is one of the safest decisions you can make for your home. Metal roofs are noncombustible, which means they are a renowned option for fire resistance. In fact, once you install new metal roofing on top of your house, you’ll be the proud owner of a surface that boasts a Class A fire rating, the best level of resistance available on the market. Sure, safety and endurance are certainly two features that emphasize the quality of a roofing material. But you still want a surface that will match any visual aesthetic and style of your home. Fortunately, metal roofing comes in many style options that will enhance any type of architecture or color scheme your home possesses. Available in panels as well as options designed to emulate traditional roof covering like wooden shakes, shingles, and tile, this type of roofing offers a variety of ways to achieve the look you’re striving for with your home. You can even find a wide assortment of metal roofing accessories, such as color-matched trims, that allow for optimal customization in design planning. Another reason to choose metal roofing is that it’s an environmentally friendly investment for your property. Many options are made from recycled materials such as aluminum, which is most often 100 percent recyclable; this means you can rest assured you’re making an eco-efficient purchase. This type of surface is also energy efficient, as it reflects the sun’s rays instead of absorbing heat. This will help keep your home’s internal temperature cooler and save you on air conditioning costs. Along with being resistant to both rot and extreme weather conditions, metal roofing is easy to keep looking new. With no annual maintenance necessary, you will save time on upkeep over the years. Hooray for no staining or painting requirements. To keep your shingles or panels free of debris, simply spray clean with a gentle water hose or pressure washer – your manufacturer will tell you what’s best to use. Since replacing a roof is a big investment for your property, it’s important that you pick a material that not only lasts, but will also add architectural value to your home. When your roof is due for a roof replacement, consider going with metal roofing since its beneficial qualities will serve you and your home for many years ahead. What type of materials are you considering for your roof replacement? Browse our selection of sturdy Metal Roofing here. Find the right roofing system for your home.